Cheti Chand 2019 is being celebrated across the world on April 7. 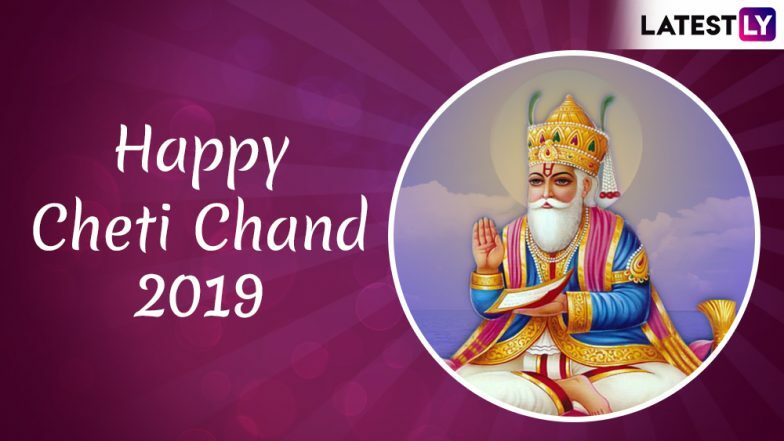 The festival of Cheti Chand marks the Sindhi New Year and the birth anniversary of Ishtadeva Uderolal, popularly known as Jhulelal, the Sindhi saint. Cheti Chand or Jhulelal Jayanti is celebrated on the day of the new moon and, therefore, falls a day after other festivals like Ugadi and Gudi Padwa. The day marks the arrival of spring. Cheti Chand 2019: Date, Significance & History; Here’s Everything You Should Know About Sindhi New Year. On the occasion of Cheti Chand, a procession of Jhulelal is taken out by Sindhis in different corners of the word, especially in the Sindh province of Pakistan. The Sindhi community also worships the water as Jhulelal is also considered an avatar of the God of Water (Varun). Chaitra Navratri to Gudi Padwa to Rama Navami, Know All Important Dates and List of Hindu Fasts for April. The morning of Cheti Chand begins with a visit to the temple (tikane) and taking the blessings of the elders of the family. Sindhi Hindus as well as Sindhu Muslims celebrate the day with great fervour. A procession is taken out in public called Baharana Sahib. The Baharana Sahib puja consists of jyot (oil lamp) placed in a pot made of flour (atta diya), phota (cardamom), fruits and akha (mix of rice and sugar). Further they take kalash (bronze pot) and coconut which is covered with a red cloth, flowers and leaves and behind is the idol of Jhulelal. The Baharana Sahib is taken to a river and the akha is offered to jal devta(river God) and the prasad (sweet offering) is distributed among the devotees. Sindhis wear new elegant clothes and join the grand Jhulelal procession on Cheti Chand. The celebration is followed by a cultural programme and langarsaab (free prasad for all). This year, according to the Drik Panchang, the Dwitiya tithi for Cheti Chand will begin on April 6 and 15:23 Hours (3:23 pm). The Dwitiya tithi will end on April 7 at 16:01 Hours (4:01 pm). The exact year of birth of Saint Jhulelal is unknown. Legend has it that he was born during the 10th century in Sindh. It was the time when Sindh came under the rule of Sumras, who were tolerant of all other religions. However, a tyrant named Mirkshah threatened Sindhi Hindus to either convert to Islam or face death. Sindhis prayed to the River God to protect them from Mirkshah. Their prayers were heard after forty days of worship and the River God promised them that a divine child would be born in Nasarpur to save them. The child was known as Saint Jhulelal and the birth of Jhulelal came to be celebrated as Cheti Chand.